A variety of quality arm sleeves from an industry leader. Juzo offers affordable, everyday sleeves as well as fashion-forward, seasonally colored sleeves. High compression and custom sleeves also available. A variety of quality gauntlets from an industry leader. Juzo offers affordable, everyday sleeves as well as fashion-forward, seasonally colored sleeves. High compression and custom gauntlets and gloves also available. Fashionable print arm sleeves and matching gauntlets. 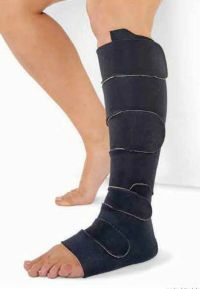 Compression Stockings and Support Socks available in all lengths: calf, thigh, and full length for men and women. Styles include value priced, fashion friendly, comfort and anti-bacterial.